TTim Cook is onstage at Apple’s Cupertino campus and he just shared a few tidbits regarding Apple’s retail efforts. 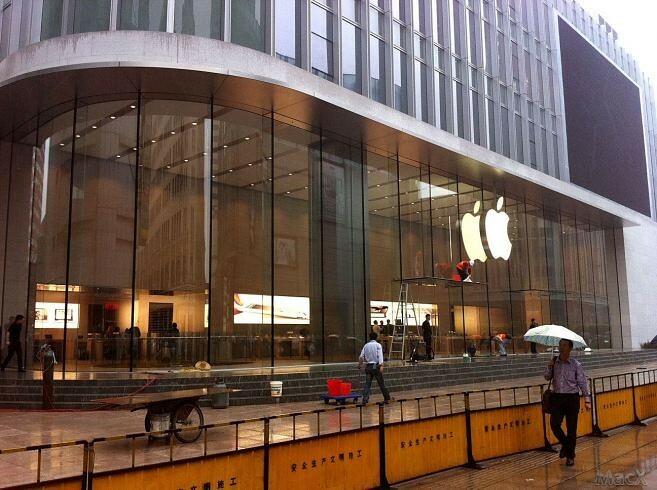 He specifically focused on the new Shanghai store, Apple’s largest in Asia. Calling it “absolutely gorgeous” (it is! ), Cook said the locatonwelcomed 100,000 visitors on opening weekend. In fact, on opening day Apple sold more Macs than in any other store in the world. For comparison, the LA store took a month to reach its hundred thousandth visitor. As of today, Apple has 357 brick-and-mortar stores in eleven countries. Cook promised more store openings in order to “raise the bar at retail”.